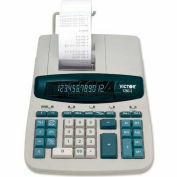 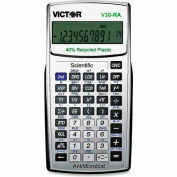 Scientific calculator offers a large two-line, alphanumeric LCD with 10-digit mantissa and two-digit exponent. 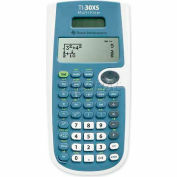 Perform four basic functions with memory and 154 preprogrammed functions including fractions, logarithms, reciprocals, powers, roots, factorials, trigs and hyperbolic trigs, degrees, minutes, seconds and decimal to degree conversions. 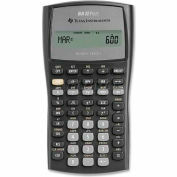 Calculate mixed fractions. 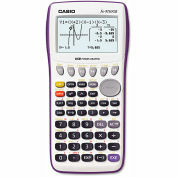 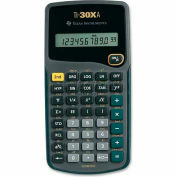 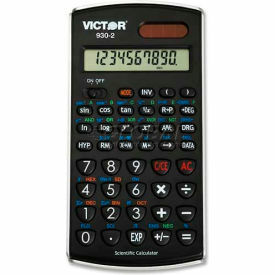 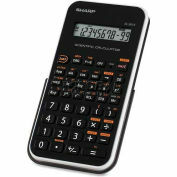 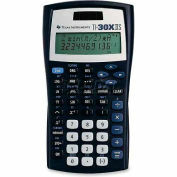 Scientific calculator includes a protective hardshell slide case and runs on solar power with battery backup. 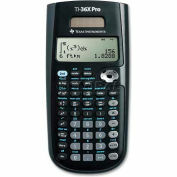 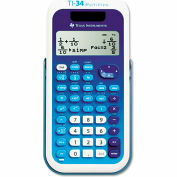 Texas Instruments Scientific Calculator, TI30XIIS, Dual Power, 2 Line, 3-1/5" X 6-1/10" X 3/4"